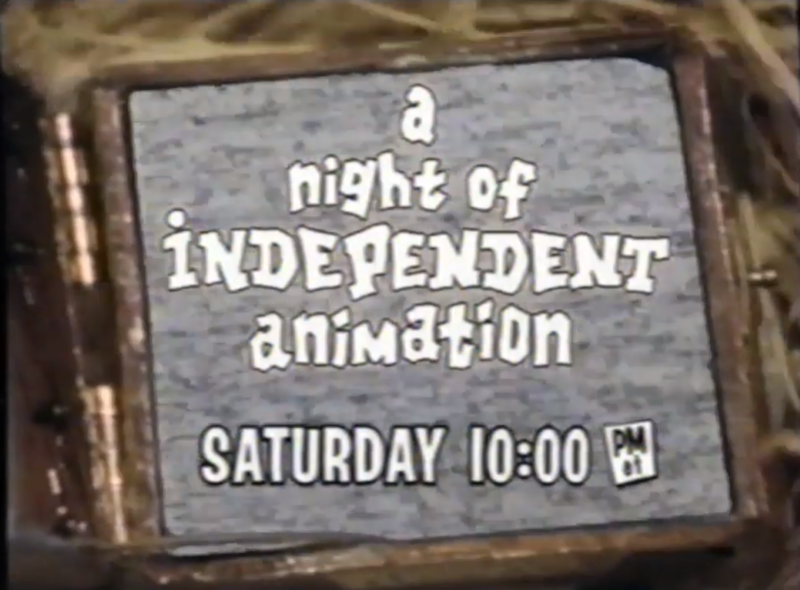 In 1996 (a complete date is unknown), ToonHeads aired a special called A Night of Independent Animation, featuring winning shorts from ASIFA-East Animation Festival. The special went undocumented with few mentions online. This special was aired on a Saturday at 10:00 PM. It is entirely unknown exactly what all of the shorts shown in the special are, the following are the confirmed shorts seen by viewers, some of which are lost in their entirety. On January 23rd, 2019, a post was made to the LMW forums by James Calico (also known as ceol). The post contained information about a short he had seen as a child, but didn't know the title, nor where it had come from. "One of the short films was so striking that it's stayed with me to this day almost 24 years later. It had a modern style of animation. It was very minimalist, done with just a few simple black lines that create shapes and impressions without details — a man in a suit sitting at a desk, a picture of his family on the desk. A Southern or African American narrator (He has a draw) talks about him and his life. The man finds a chord attached to his foot, and yanks on it. He's never noticed it before, but he notices it goes down the hallway. He follows it gathering it up as he walks. It leads him to an actual wall outlet where he's apparently plugged in. He pulls the plug from the wall, everything fades to white, and the narrator says something like "And no one ever heard from him again." Lost Media Wiki user and YouTuber Captain B. Zarre ended up bringing up a promo on Cartoon Network for A Night of Independent Animation. The original poster has confirmed it to be the short as well as another user who had seen the short, Terry the Cat, recalling it looking as it did in the promo. 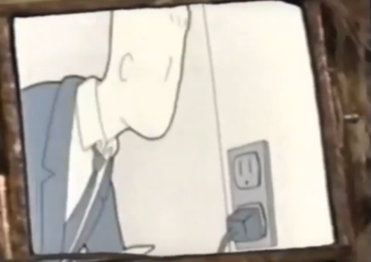 No title was mentioned in the promo, but a very small snippet of what could be the scene of the short with a man pulling a plug from a socket is shown. The short is thought to be Aaron Augenblick's The Wire, but no confirmation has been made, considering that short is completely lost. 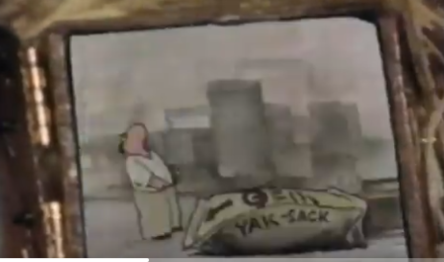 The Paul Fierlinger short is believed to possibly be "I'll Be There" from 1994, as the plot of that short involves a man trapped in an airport, which seems to fit the screenshot seen in the gallery. However, it is not confirmed, as "I'll Be There" is one of Fierlinger's shorts that is completely lost. On February 28th, 2019, Aaron Augenblick, the creator of The Wire, uploaded the short to his YouTube channel, thus leaving only one remaining lost short from the special. Hi. Yak Flack. So long ago... I have no idea where to look for it. Used for in-house USHealthcare on film in the early 90s- never shown on TV. We are miserable when it comes to archiving. Could be on a 3/4 tape in a box in the basement. This confirms the short's name. It's also possible that it could surface if Fierlinger does have the short, but as of yet, he has not been asked to check. A 15 second bumper for A Night of Independent Animation. The previously lost short The Wire by Aaron Augenblick. A picture of part of The Wire. Taken from the promo. A still of what could possibly be the Paul Fierlinger short. Taken from a longer version of the promo.